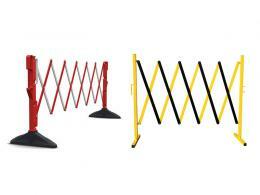 What is the Purpose of a Small Expanding Safety Barrier? This expandable barrier is used to prevent foot traffic from a private area or an area that might be under construction. It can also act as a gate to keep people away from slipping hazards until they can be properly cleaned up. The retractable barrier is easy to move into place, but not so light that people will feel like they can ignore it and go around anyway. 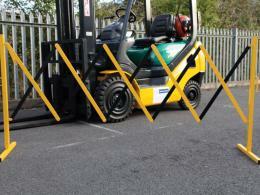 Where Can The Small Expanding Safety Barrier Be Used? This type of concertina barrier can be used in super markets, warehouses, home improvement stores, or on construction sites. Places prone to spills or messes, such as distribution centres or facilities that store or ship breakable or liquid items can also find this product helpful. Who Might Use The Small Expanding Barrier? A supermarket worker might block off an aisle with a spill using an expandable safety barrier. A home improvement store employee might use an expandable barrier to make sure customers are safe and out of the way when they are stocking items or bringing them down using a forklift or another piece of machinery. 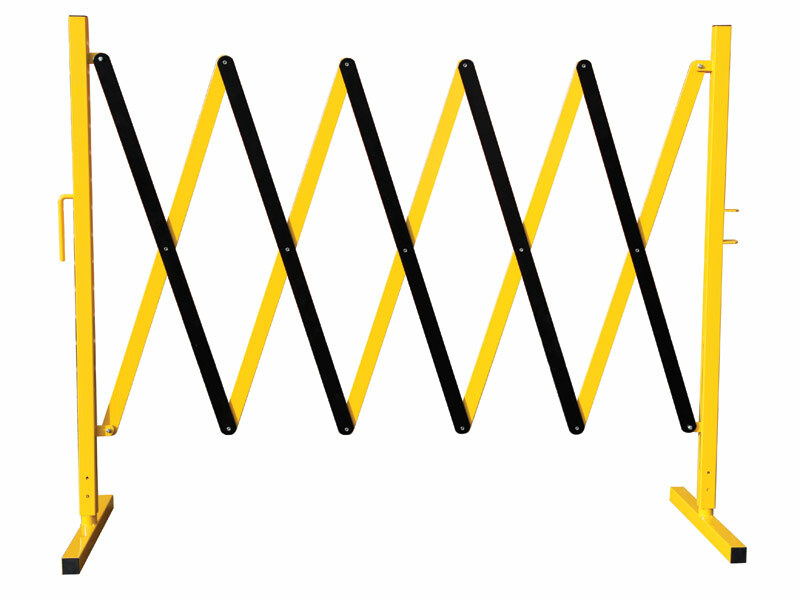 A construction worker might use this product to block off a car park or footway to make sure that pedestrians and automobiles don't get in the way of their equipment. 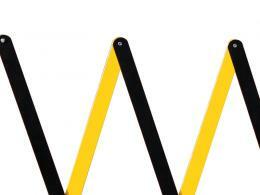 The small expanding safety barrier is made of tough steel and painted yellow and black for visibility. It is 910mm high and expands to 2700mm wide to fit a range of openings. Each barrier has male and female ends to enable multiple barriers to be connected for blocking off a larger area. The barrier weighs 11kg and comes with a 1-year warranty for parts and labour. The Workplace Depot offers next working day delivery and guarantees hassle-free returns and exchanges.